At a nonprofit, time and resources are often very limited. For events – where communication and information-sharing is critical – it can be difficult to find a method that is effective but not time-consuming. Sponsors for Educational Opportunity (SEO) faced this challenge in previous years with their SEO Career institute: a series of full-day sessions in New York, in which 350 interns learn technical skills. 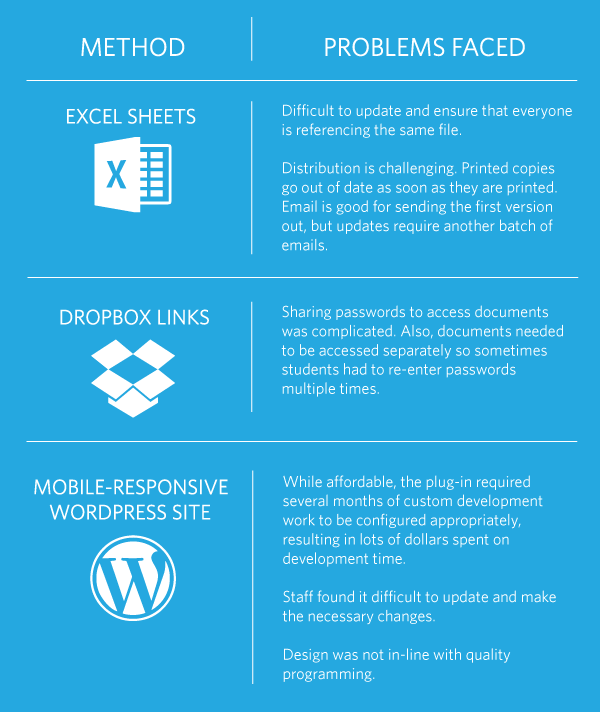 They wanted to keep students informed, but maintain staff efficiency in the process. Nicole McRae, the vice president of SEO Career, shared how her team previously used a variety of methods to inform program participants, each with its own set of difficulties. Seeking a better solution, towards the end of 2014 Nicole’s team began exploring using a native mobile app. They quickly realized that building it internally would be a multi-month, high-budget endeavor. They decided to find an existing app solution that could be customized to meet their needs, and ultimately chose Guidebook. The SEO Career app provided students with useful information via speaker bios, handouts, and personal agendas. Attendees noticeably asked fewer questions due to better distribution of materials. Nicole also took advantage of features that boosted engagement like live polling, surveying, and linking to their fundraising website. “We found it, configured it, and populated it in a day and a half, a week before our event started. The systems we had used in previous years had taken months to create. 466 downloads: 100% of interns downloaded it, plus additional vendors and staff. 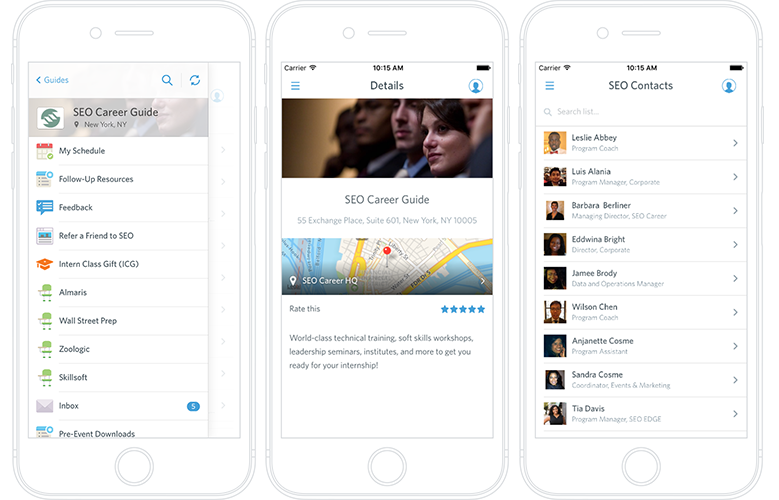 After years of trying different technologies that were difficult to manage, Guidebook’s user-friendly, clean interface was a big win for SEO Career’s staff. Because of the initial deployment’s success, they are now expanding usage of Guidebook to a year-round app for recruitment purposes. Sponsors for Educational Opportunity (SEO) provides achievement opportunities for talented youth in underserved, underrepresented communities. Since 1980, SEO Career has prepared participants for careers in business, technology, and law, by providing skills training and access to networks and internships. An alumna of the program, Nicole pursued a career in banking before deciding to give back to the community by joining SEO Career. For Guidebook, it’s exciting to be part of furthering SEO Career’s mission of transforming college students into polished professionals ready to embark on amazing careers. If you work or volunteer at a non-profit, we encourage you to explore how an app can save you time and resources. Contact sales@blog.guidebook.com/mobile-guides today, or try our platform for free.